When people attain 60 years of age, they tend to be more relaxed and try to be away from social life. The only thing that makes them comfortable is to snug up in bed and watch TV or read newspaper. But that is not the same with 84-year-old, Sumiko Iwamuro, who lives life to the fullest not just in the day but at night too. This inspiring 84-year-old granny from Tokyo is sure to teach you how to juggle work and live every moment in life. During the day she works in the kitchen of her Chinese restaurant serving hungry customers for over six decades, but at night she stands in a DJ booth at the DecaBarZ nightclub in the Shinjuku district rocking the floor to a crowd of enthusiastic club-goers. According to News Nation, Iwamuro, is reported to have got into DJing at the age of 70 when she was selecting party songs and tunes for her son’s birthday party. Currently, she is a hit among the youngsters in Tokyo. While speaking to Al Jezeera America, she said "It’s fundamentally techno music, but just that would be boring; I add jazz, French chanson and a bit of classical music". "Also, I want to be known for my cool deejaying skills and not my age," she further adds. 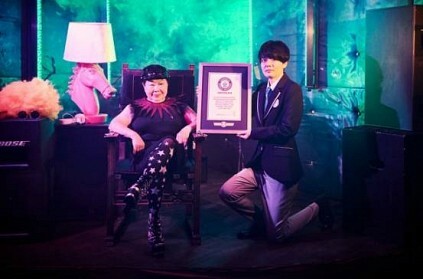 Surprisingly, Iwamuro also holds the Guinness World Records title for the Oldest professional club DJ. She has big dreams and hopes that one day she will perform in New York. This page contains news relating to various facts and events. The views are generally about current affiars and general topics in diversified areas such as political, international, national, and regional issues, sports, health, travel, lifestyle, technology and business. People having similar interets on the above topics will find this page useful. 84-year-old granny in Tokyo cooks in the day and lights up the club at | World News.